“The Red Line,” from Duvernay and fellow uber-producer Greg Berlanti, will debut on Sunday, April 28 at 8 p.m. ET/PT, following the conclusion of the first season of “God Friended Me.” The eight-episode event series will air on a truncated schedule — it will air two episodes, back-to-back, over four consecutive Sundays. The series, which stars Noah Wyle, follows three very different Chicago families as they journey toward hope and healing after a tragedy connects them all. “‘The Red Line’ is a serialized drama with compelling characters and provocative themes that we expect viewers will want to watch more than one hour per week, so we wanted to eventize it and try something unique with two-hour blocks over four weeks,” said Noriko Kelley, executive vice president, program planning and scheduling, CBS Entertainment. “The Code” will premiere on Tuesday, April 9 at 9 p.m. ET/PT, behind an episode of “NCIS,” before moving to its regular time slot on Mondays at 9 p.m ET/PT the following week. It will take over for “Magnum, P.I.” after it finishes out its freshman season. 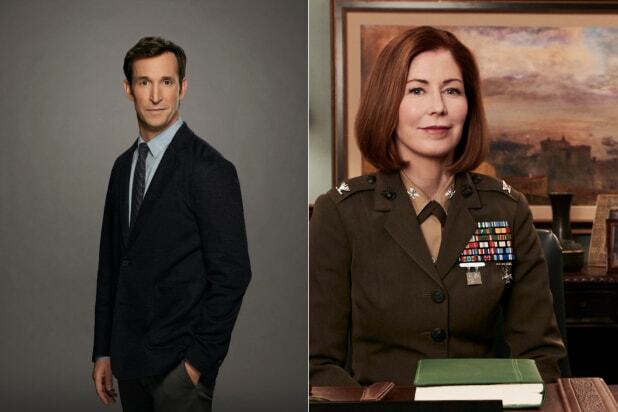 “The Code” is a drama about the military’s brightest minds who take on our country’s toughest legal challenges, inside the courtroom and out, in the only law office in the world where every attorney is trained as a prosecutor, a defense lawyer, an investigator – and a Marine. After the pilot was picked up, CBS recast the roles played by Dave Annable and Mira Sorvino — the male lead and a series regular, respectively — replacing them with Luke Mitchell and Dana Delany, respectively. Finally, CBS has set the third season of “Ransom” to premiere Saturday, Feb. 16 at 8 p.m ET/PT, leaving only “Instinct” and the final season of “Elementary” without return dates. 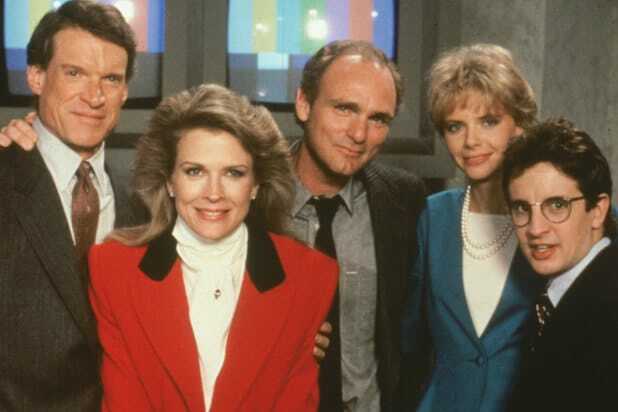 "Murphy Brown" has returned to television on CBS for 13 episodes, with the new season premiere airing to modest ratings on Thursday. While a lot has changed in media since Candice Bergen's Brown hosted the fictional news broadcast "FYI," one thing that hasn't changed is how hard it is to find good help. One of the show's longest recurring gags was how nearly every week Brown had a wacky and incompetent new secretary, everyone from a man with a Hitler mustache to a pleasant looking woman who worshiped Satan. More than 90 people sat in that assistant's chair over the show's 10 seasons, including some celebrity cameos, but not one of them lasted. Pee-Wee Herman himself helped out Murphy Brown, appearing in six episodes of the show as Stan Lansing's nephew. Before Marcia Wallace was Edna Krabappel on "The Simpsons," Wallace had a part on "The Bob Newhart Show" as Bob Hartley's dynamo of a receptionist Carol Bondurant. During a special crossover episode of "Murphy Brown," Carol proved to be Brown's best secretary ever, a real keeper. But at the end of the episode, Bob rushes into the office and begs for Carol to come back and work for him, despite Brown's pleading. You can hear the women in the live audience swooning when it's revealed that John John is Brown's latest secretary. "I guess the lawyer thing didn't work out," Brown jokes. He wasn't there to work, but to drop off a "wedding present" that was just a fake cover of the magazine he edited, "George." When Kramer (Michael Richards) heads out to Los Angeles on an episode of "Seinfeld," Jerry and Elaine spot him on an episode of "Murphy Brown" as another new secretary. His rapid-fire typing is hysterical, and the show even teases that she has "a good feeling" about him. Murphy Brown would've been lucky to have fellow single-mother Norma Rae as her secretary, or better yet her "Absence of Malice" journalist Megan Carter, but instead she got Kathleen Dubek, secretary 91. The final season of "Murphy Brown" featured a cavalcade of celebrity cameos, including Rosie O'Donnell as a particularly annoying singing secretary. Rickles would've been in his 70s by the time he stepped into the secretary job during the show's final season. In the show's stellar finale, Bette Midler took charge as secretary Caprice Feldman. "Caprice! With two Cs, interlocking like Chanel!" Her wealthy socialite type was always told by her (dead) husband that she could never hold down a job. Well, she picked one with quite the track record. At least the former First Lady has some experience as a "secretary," telling Murphy Brown in the revival's season premiere that she worked as one for four years in a "very large organization." Not only that, she boasted that she's "qualified, and I'm ready on day one." She even joked she has "some experience with emails."